Replacing an OE audio unit in some modern vehicles can lead to some nasty suprises - one of these is the loss of the OE audible parking tones.....Advances in CAN Bus technology have enabled manufacturers to use the vehicle audio system for more than just entertainment. More and more vehicle types are now equipped with standard parking sensor systems that deliver obstacle proximity information to the audio unit using the vehicle CAN Bus. The audio unit presents this information using audible tones via the vehicle speakers. 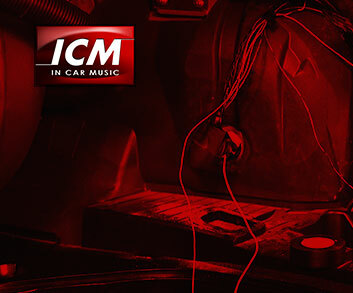 The CANM8-NAVTONE interface reads proximity information direct from the vehicle CAN Bus and produces proximity tones via a tiny hide-away Piezo sounder as a substitute for the audible tones originally generated by the OE audio unit. The NAVTONE interface is ideal for installation when the OE audio unit is to be replaced by an afternarket AV or Navigation system. In addition to the substitute parking sensor tones the interface also provides the control outputs required to install the replacement audio unit derived direct from the CAN Bus system. The CANM8-NAVTONE Interface is compatible with the vehicles listed below. The interface automatically identifies the vehicle type via the CAN Bus no installer programming is required. *** Vehicles with front and rear sensors will require an additional sounder  available seperately.